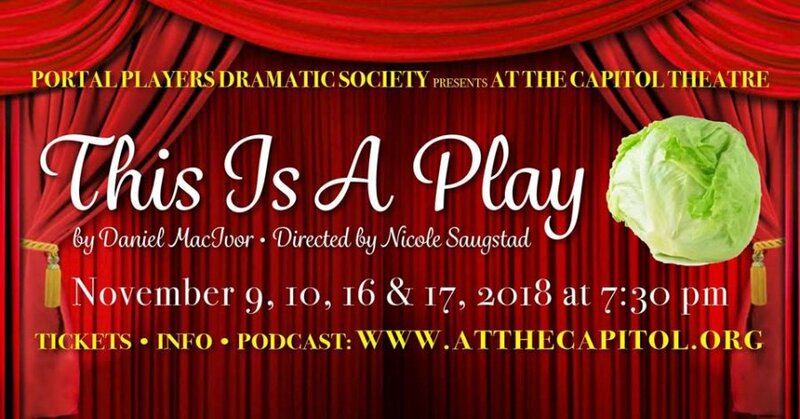 A hilarious metaplay, “This Is A Play” by Canadian Daniel MacIvor, follows three actors who, while performing, reveal their own thoughts and motivations as they struggle through crazy stage directions and an unoriginal musical score. After the play, enjoy a tour of the non-public areas of the Capitol Theatre: backstage, the costume room, the props room, the tech booth, and the green room. Finally, as part of “This is a Theatre”, enjoy a meet and greet/talkback with anyone from the audience who cares to hear more about the process of choosing, directing, acting, producing and crewing in a show.